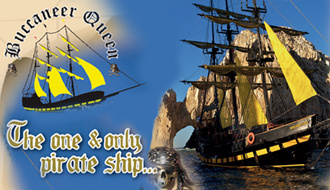 One sure thing about Cabo is that if you are looking for extreme adventures and extremely good times, you will find them! 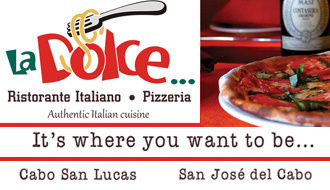 Here I will list my top choices for extreme fun in Los Cabos. Kayaking to the famous Arch: The cool thing about this activity is that it’s an all-in-one adventure because you get a great workout, and at the same time you visit one of Cabo’s must-see landmarks. The sightseeing is awesome as you paddle in Medano bay and head out towards the arch while in the horizon you can gaze at where the Sea of Cortez meets the Pacific Ocean. Wildlife you may encounter in this trip includes many pelicans and seagulls and other beautiful sea birds. And if you decide to also snorkel on this adventure, you will be treated to an abundance of tropical fish at spots like Pelican Rock. Also, near the arch you will observe the sea lion colony. Scuba Diving in Cabo Pulmo: When visiting Baja Sur, you must really consider making a day tour to this Marine National Park where the scuba diving and snorkeling is superb. There are many different sites at the various coral reef fingers for all kinds of experiences. The snorkeling is wonderful at La Sirenita beach at the south end of Cabo Pulmo bay too. Snorkeling Los Frailes Bay: I have to mention Los Frailes also, because it is a snorkeling spot that is off the beaten path and it is where I have had some of the most magical snorkeling sessions. It is just south of Cabo Pulmo a few miles. The cool spot to snorkel is at the north end of the bay. Hiking Cajon de Yeneka: Just south of Miraflores is a beautiful canyon where you will find many little waterfalls as you hike and boulder upstream. The canyon is astonishing with its very high walls. To go here, hire an adventure operator with your concierge and enjoy this amazing adventure. Jeep Tour through the desert and ranches: You can also hire one of the cool adventure companies that run these fantastic tours. Experience the beauty of Baja when you drive through the mystical desert trails and arrive at traditional ranches where you can see and taste the ranch life. Enjoy a delicious lunch at one of the ranches and learn many things about the lifestyle, wildlife and plants of the area. Camping in Cabo: Another extreme adventure is taking a camping trip to either the mountains or the beach. Baja is the perfect place for camping and it is a classic pastime here. There are many quiet beaches up the East Cape where you will find the perfect camping spot, and in the mountain side, the popular Sierra La Laguna National Park is the place to go. There are many great spots near the town of Santiago where you will find waterfalls and hot springs near the camp sites. Bungee Jumping: No question, one of the most extreme activities one can do. I’ve done it once in my life and it was incredible. 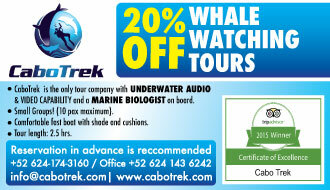 This vacation is the perfect time to do it and Cabo’s landscapes will make it even more unforgettable. Skating the radical Pescadero Skate Bowl: Now with a great skate school within the park, this bowl is the perfect place to get extreme skating its renowned steep and fast speed walls. The park also has other areas for practicing street tricks and a mini U too. It is a great spot for a picnic with the family. Water Slide Park: Also just south of Miraflores in Caduaño town there is a cool water park called Wet Fun. 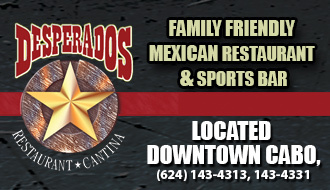 Here within DESTINO Magazine in the activities section you will find more information and directions. For sure an extreme plan all the family can partake in. 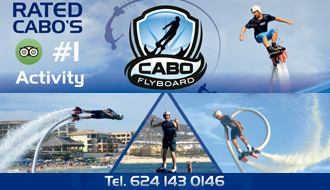 Extreme Fun in Cabo: This of course is not an adventure in nature, but for sure can be extremely fun times. Walking around the Cabo marina in the daytime enjoying a wonderful lunch dock side and then later in the evening doing the classic club and bar hopping on the legendary Cabo strip will guarantee you some extreme fun definitely. Extreme Comfort Overnight Surf Trip: How about booking a room at one of Cerritos’ nice beach hotels and do some surfing at one of the best beaches for surfing. This place is perfect for learning to surf and enjoying the sunset also. Great spots for yoga too in the area, and delicious organic restaurants all around will make this escapade blissful. Surfing Monuments Surf Break: Next issue I will talk all about surfing, but in this edition, I cannot leave it out as one of the most extreme and fun things to do in Cabo is to surf Monuments. A very radical left wave with a very rocky bottom, this surf break is known for epic sessions. One of my best waves of my life was there. As you can guess, I am a goofy foot and love lefts! Sport Fishing with friends: How more extreme can you get than by going to the middle of the sea with your best buddies and a bunch of beers! 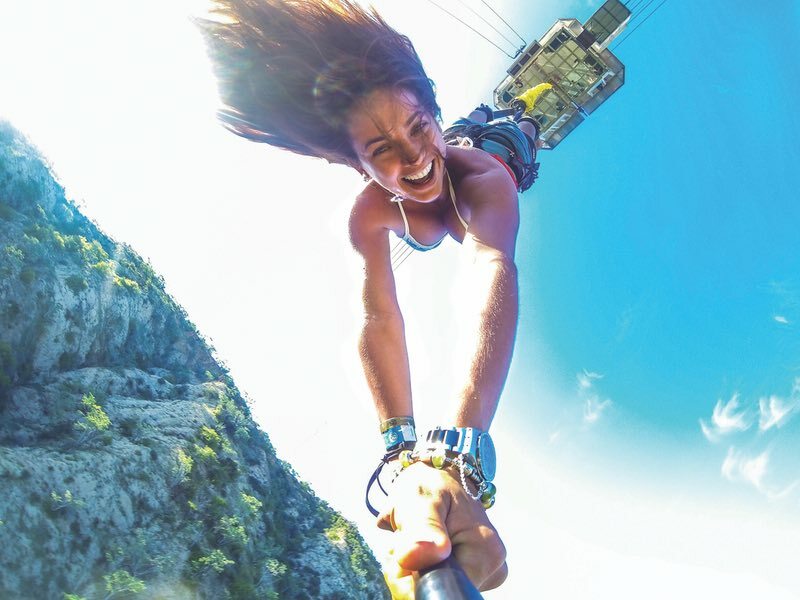 Classic Extreme Adventures: Finally, I would like to mention the all-time favorite activities that are also must do’s when visiting Cabo. Like renting wave runners, trying out flyboarding, kite surfing and stand up paddle boarding, which can be peaceful but will most definitely take you to extreme spots on the coastline. Cabo also offers fantastic skydiving and parasailing, and there are cool adventure parks that have ziplines, swings and ATV/UTV tours. 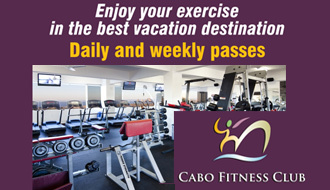 But if you are more inclined to stay in your hotel, ask about any fitness classes because in Cabo we have a great fitness community with the best instructors that offer innumerable types of extreme workouts and training sessions. I can’t promise these workouts will be extremely fun, but definitely will get you pumped for your well-deserved extreme partying that night. So I hope you have a wonderful and adventurous time this trip and go home with many extremely fun stories!